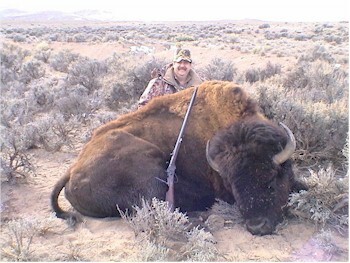 Detective Dan Savino, San Antonio PD, with his SCI Trophy bull and Shiloh Sharps .45-70. Dan is having this beauty mounted1/2 lifesize! We had a great hunt with no saddle sores! Check out Detective Savino's article on the Hunter's Report page.